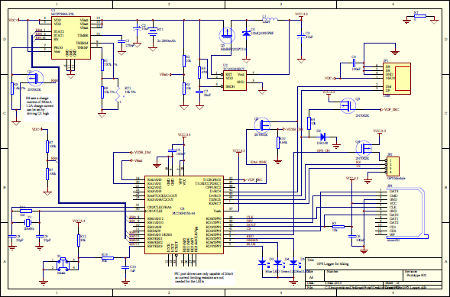 Having determined the battery and power requirements, a full schematic of the GPS logger was made. Buck regulators and Li-Ion battery chargers were investigated from a variety of manufacturers. The TC105 3.3V Buck regulator and the MCP73863 4.2V Li-Ion battery charger, both from Microchip, were chosen to provide the power needs for the project. 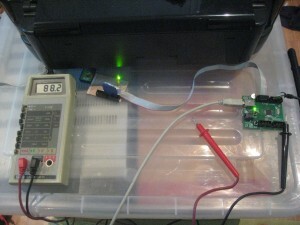 The circuit is capable of detecting if a USB port is a Charging Port and adjusting the battery charge current to suit.